One moment from Demo Day stands out. A girl had just imitated a Blobfish swimming, to explain why her team, The Mystery Squirrels, had selected the unusual-looking creature as its protagonist for their game, Detective Blobfish. 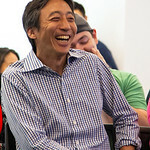 The room, which included senior leaders from PlayStation, Xbox, Nintendo and Caffeine, shared a laugh. 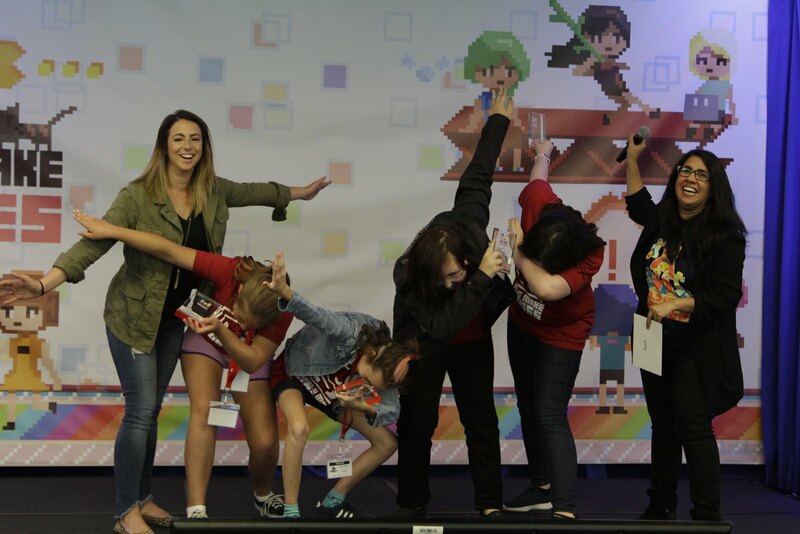 This moment exemplifies to me not only the joy in games themselves, but the way the industry came together around Girls Make Games. When I had an idea to create a summer camp, where for three weeks, middle- and high-school aged girls could make their own games, I never dreamt of such a moment. 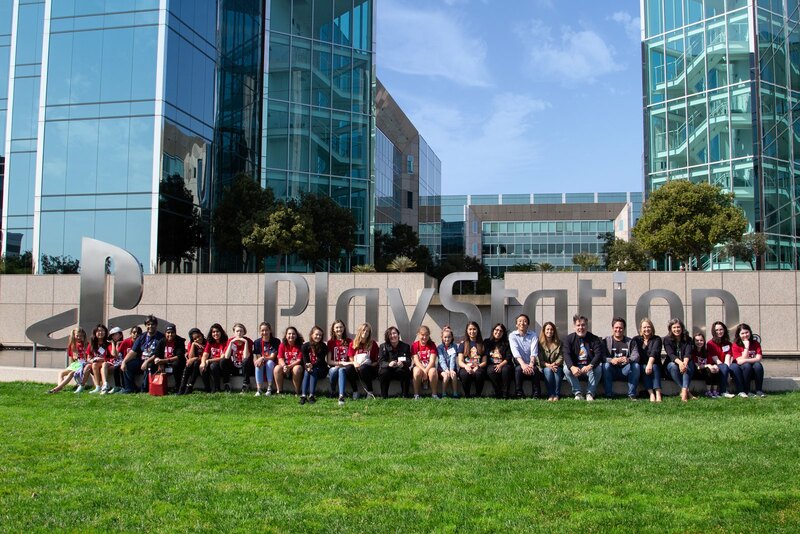 Who could have thought that one day Executive VP of Gaming at Microsoft Phil Spencer, Executive VP of Business Affairs at Nintendo Devon Pritchard and Senior VP of Business Development at Caffeine Anna Sweet would come to PlayStation’s campus in San Mateo to celebrate girls in gaming? 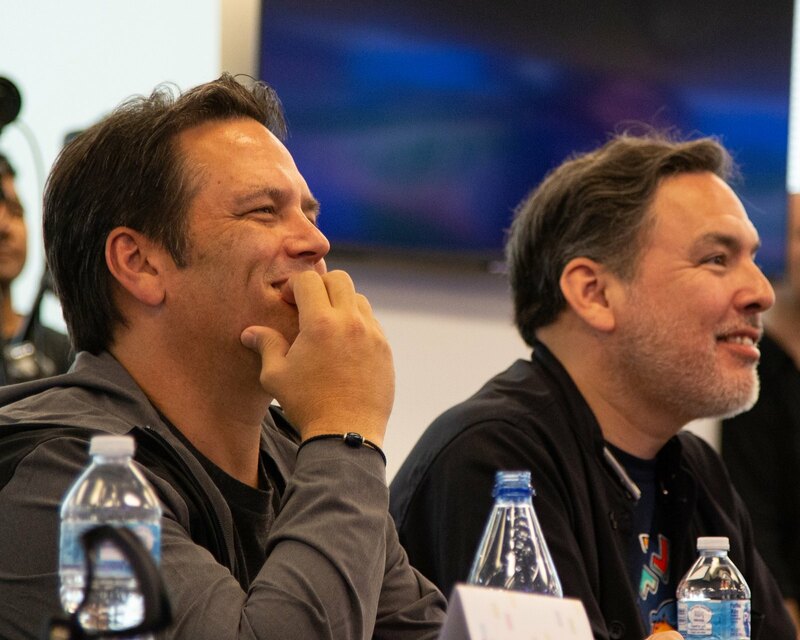 Moreover, that they’d join PlayStation President and CEO John Kodera, Chairman of Worldwide Studios Shawn Layden and Vice President of Product Development at Worldwide Studios Connie Booth in front of the PlayStation sign? I know it happened, because I have proof. When I started Girls Make Games four years ago, I thought of what it meant to have a home. A home is a place where you feel safe. You feel heard. You’re free to express yourself – or imitate blobfish. It’s a place where your thoughts, your ideas, your identity matters. There, in an Arabic country, I felt free inside my house and shackled on the outside. I lived in a place where expectations on me always wanted to limit me in who I was, what I could say, and what I could do. Then one day, my family got the internet, and I suddenly had a portal into the world outside. I learned that it was possible to fulfill my dreams: to go to college, to start my own business, to empower other women to do the same. Take the winning team this year, Team Sarcastic Shark Clouds. They created a game that took a multi-narrative approach to bullying, presenting the issue from both the victim’s and the bully’s perspective. They told me, “We never thought we’d win” and “We never thought our game was good enough.” Not only was it good enough to impress the industry experts, we’re going to make the full game over the next year and publish it on Steam and console. 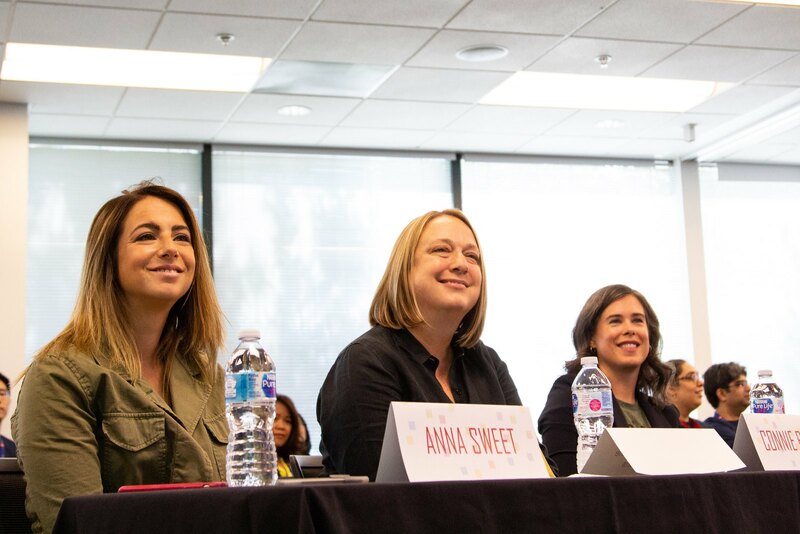 It is my hope that Girls Make Games can provide the same validation and access to education – which is the best form of empowerment – to girls everywhere. My father often says, “If you educate a girl, you educate a nation.” When I was a child, I never knew what that meant. Now, seeing so many young girls understand what they are capable of, and hearing so many leaders welcome their creativity and innovation, I’m beginning to understand what he meant. 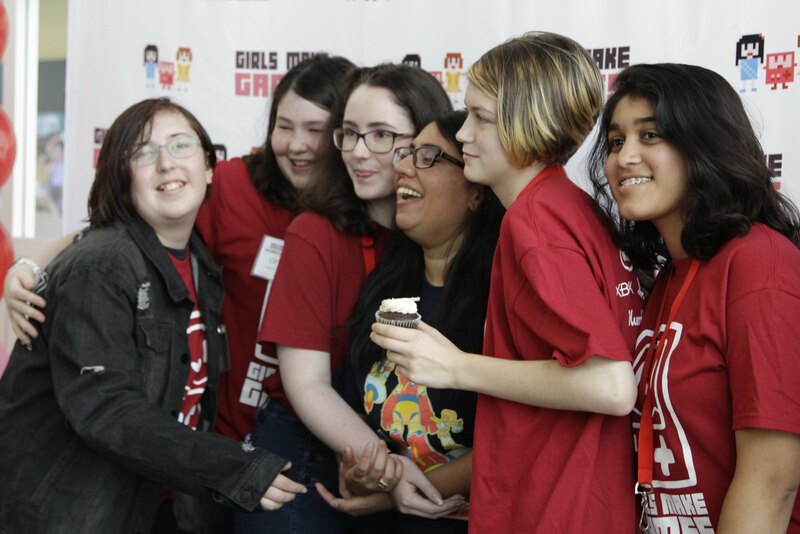 Learn about the finalists and winning ideas on the Girls Make Games website. I work in process development at Intel. one of the coolest aspects of my job is that we just hire smart people. there are no religion, gender or country lines. if you are smart and can help make faster processors you are hired. it is amazing to see people working closely together to solve hard problems that would otherwise be ‘natural adversaries’ Israelis and Palestinians, Indians and Pakistanis, Americans and Russians. we are making a push for women in science. have you approached Intel about this? seems right up our alley. message me on PSN if you’d like. I am a very tiny cog in a very large machine but I spin very fast and have done some nifty things to garner attention from on high(no promises though). and I will do my best to help. one of the things that makes me okay with working for a large corporation is that our charity efforts are very real. “If you educate a girl, you educate a nation.” You’re very lucky to have such an enlightened & insightful dad!! You’ve carried it forward with this wonderful program. You’ve much to be proud of!! Great to see programs like this and ever better to see people from Xbox, PlayStation, and Nintendo come together to support it.